Thatching in Japan was used commonly for the roofs of traditional houses, temples and shrines. It adapted to the climate and nature of a region. Thatching adds to the variety and local characteristics of traditional houses and rural landscapes. The material was not only for the roofing but it was also used as a precious plant resource, which supported the life in rural districts as manure or fodder for the sericultural and expands livestock industries. However, as modernization and urbanization increases, thatching is considered a past thing, and has been rapidly disappearing. On the other hand, in recent year, traditional house with thatched roofs and the resulting rural landscapes have been revalued as an archetypal image in Japan. This should be retained as a local resource and a basis to advance village revitalization and community development. In addition the livability of thatched roofs, which have both heat-insulating properties and air-permeability has been revalued. Thatching material is also given attention as a sustainable, recycleable plant resource that can be used instead of petroleum. Today there are approximately 100.000 thatched buildings in Japan, which makes the country one of the bigger, talking about numbers of thatch. There are around 300 thatchers working to maintain and renew this cultural heritage. 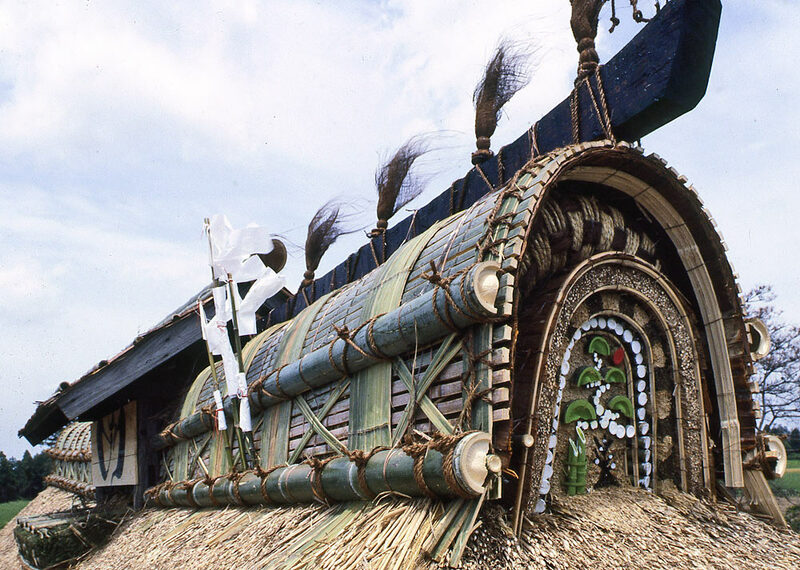 In this context, the Japan Thatching Cultural Association (JTCA) has a proper understanding of the history, culture and skills involved in thatching. Through this association, we hope to understand and actively engage in the process of maintaining traditional houses with thatched roofs and the resulting rural landscapes. We hope to share the information in order to plan the succession and promotion of the culture and skills involved in thatching. Japanese thatchers mainly use eulalia and water reed to thatch with. 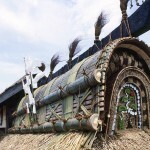 They also use rice straw, wheat straw ,bamboo grass and cedar bark as thatching materials. All of these materials have been chosen because they can adapt to the specific climate and nature. JTCA members consist of thatchers, material producers, architects, researchers, owners of thatched roof, photographers, painters, artists, local government, NPOs, foundations, private companies, etc.